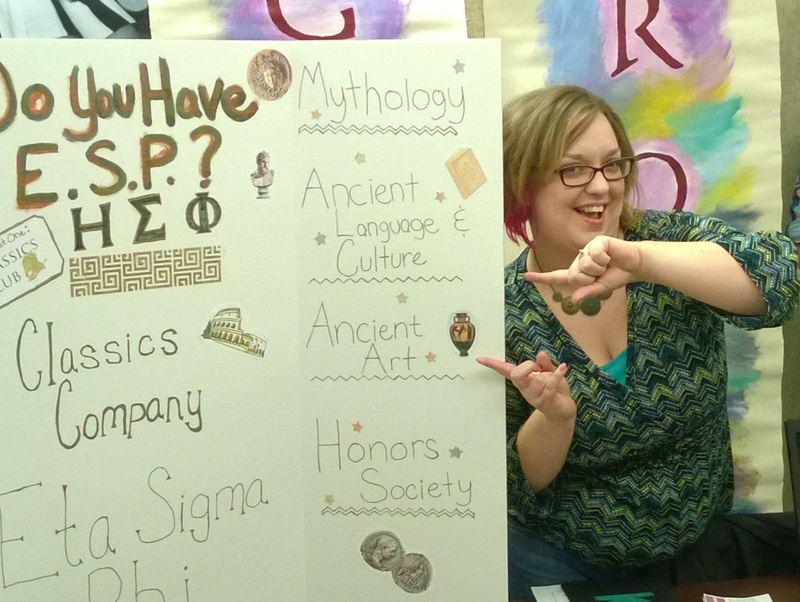 Jessica is a Classics major and History, Latin, and Art History minor, graduating in the Spring of 2016. Students find their way to the Department of Languages, Cultures, and International Studies by a variety of different routes. Some know exactly where their interests lie, while others take some time in other areas before finding their calling. Jessica is no less unique. Many students enter college shortly after high school, but some choose to attend after spending some time “in the world.” Jessica falls into the latter camp, describing herself as non-traditional. Her experience led her to pursue scholarships immediately and fortunately she is this year’s recipient of two awards, one from CoLA (Griffin) and another from the SIU women’s club (Guyons). The education that Jessica has received will continue to further her goals. In the Fall she plans to apply to graduate school with the hopes of completing a Ph.D in Religious Studies, with a concentration in Ancient Mediterranean Religions and early Christianity.